This statistic demonstrates the various stances of adult Canadians towards Valentine's Day in Canada as of January 2018. 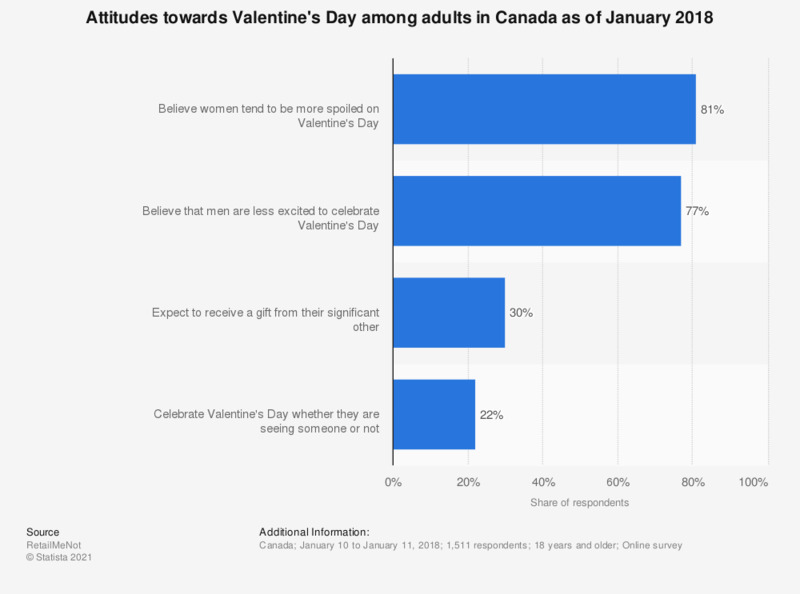 The results reveal that 81 percent of respondents believed that women were more likely than men to be spoiled on Valentine's Day, and 22 percent of Canadians said they were celebrating Valentine's Day regardless of whether they are seeing someone or not. The survey was conducted among randomly selected Canadian adults who are Angus Reid Forum panelists.